THAT IS SO CUTE AND SO FUNNY! 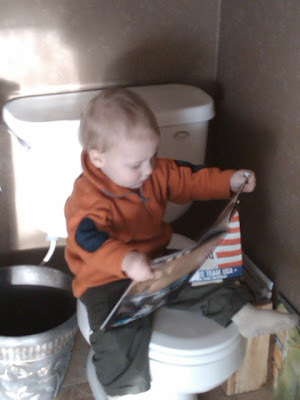 Were we, or were we not just talking about Cliff and his bathroom reading? So, so funny. Ker! This is seriously hilarious... he has such a concentrating look on his face too! I miss you guys! He is so funny. I'm sure he was so proud of himself. 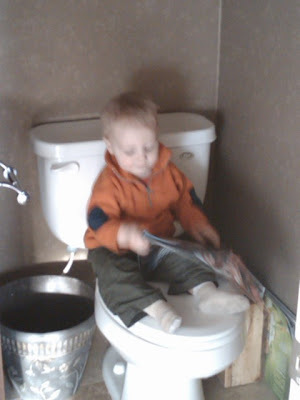 Now if you could just teach him the rest of what the toilet is about. When you figure that out we'll send Chase for a lesson! 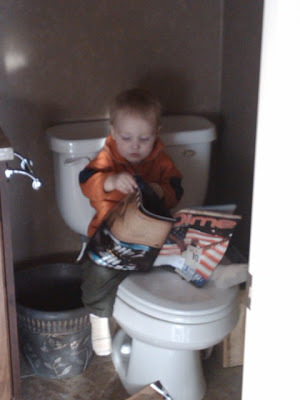 This is all about how smart my Grandkids are!